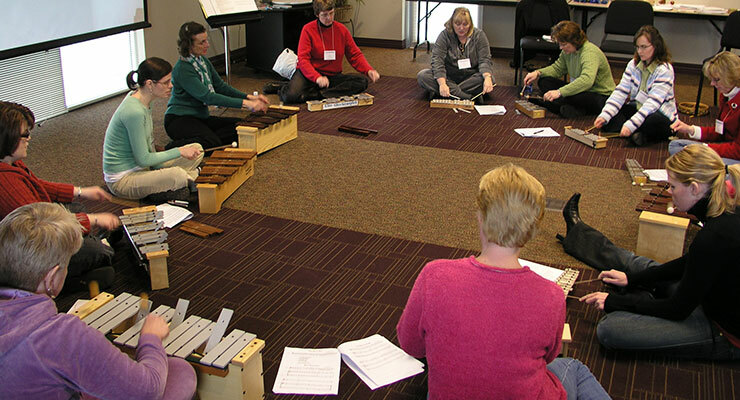 For several decades, WMEA has served Wisconsin students by providing a sound music education through its members. Currently, more than 2,000 music educators across Wisconsin are active members of their professional organization because they want to make a difference in the educational atmosphere of our state. Every day, WMEA members demonstrate their commitment to music, music education and providing something of lasting value in the lives of their students through excellence in teaching, performing, service and advocacy. WMEA members are active educators, collegiate and retired members, and middle/high school student members of Tri-M. If you are not a member of WMEA and NAfME, and you share our goals, please join us. A. Act as an invaluable and supportive lead resource for the advocacy of music education in Wisconsin. B. Attract and retain forward thinking music educators. C. Provide & inspire music educators with opportunities for meaningful professional development. D. Support lifelong learning in music. The WMEA website has grown to become an exceptional resource for Wisconsin’s music educators. Please use the website to stay informed of the many educational opportunities offered by the association and its partners, Wisconsin School Music Association, Wisconsin Foundation for School Music and National Association for Music Education. Make plans to attend the Wisconsin State Music Conference each October and, more importantly, know that as music education professionals, we are not alone. Thousands of your colleagues – WMEA members – are here to assist music teachers like you as we strive to meet the needs of Wisconsin’s students. You have something to contribute, as well – we need you to get involved!